Currently, there are approximately 5 million seniors in the United States who have some form of dementia, and those numbers are expected to triple by 2050. In the June 2016 publication of the Journal of the American Geriatrics Society, research suggests that seniors as many as 2.5 million Americans have undiagnosed dementia, which means that the elderly engage in potentially unsafe activities like driving, cooking, and taking wrong doses of medication without realizing it. The responsibility becomes incumbent upon family members to recognize signs of dementia in their elderly loved ones so they can get the proper care at home. 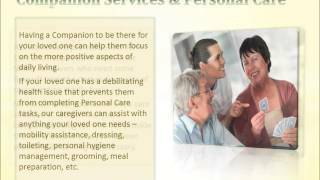 A-1 Home Care provides such in-home care at low cost in Corona del Mar and other parts of Orange County. 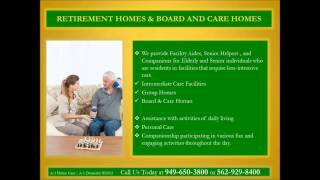 A-1 Home Care in Corona del Mar offers flexible scheduling with live-in and live-out care. As your elderly loved one’s needs change over time, we can adjust our caregiving services to extend or decrease hours of in-home care as you need them. Round-the-clock senior care entails assistance with meal preparation, light housekeeping, medication reminders, companion care, transportation, personal care and more. A-1 Home Care has been taking care of Corona del Mar’s seniors and their families for over two decades! When it comes to selecting someone to take care of your elderly loved ones, we take talent recruitment very seriously. 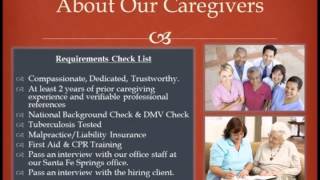 A-1 Home Care is a licensed, bonded and insured agency that thoroughly prescreens every single caregiver, certified nurse aide, home health aide and licensed vocational nurse for your safety and security. You have our round-the-clock support from a 24-hour hotline to live-in caregiver services for 365 days a year. You can finance high quality senior care at the most competitive prices in LA County and Orange County! A-1 Home Care also accepts Veteran Benefits and long-term care insurance. 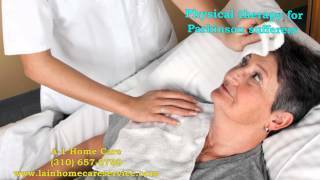 For quality Alzheimer’s and Dementia Care, call A-1 Home Care (949) 650-3800 or visit us at www.coronadelmarinhomecare.com for services in Corona del Mar, Tustin, Laguna Beach, Newport Beach, Fullerton, Orange, Irvine, Huntington Beach and Garden Grove. Whether you choose to have children or not, if you do not have any kids, you are among the growing number of adults who are childless. According to statistics from the AARP (2013), about 11.6% of women ages 80 to 84 did not have any children in 2010. Researchers predict that by 2030, the percentage will reach 16%. What does this mean for caregiver support? Elders without kids are coined “elder orphans,” a term that describes seniors without friends or family. 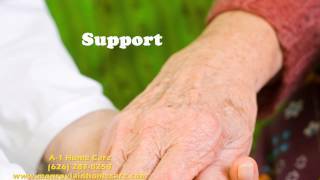 It’s a sad situation, but if you are young enough to plan ahead for your future, it is highly recommended to start planning for your own elder care support with a reputable agency like A-1 Home Care in Corona del Mar. No matter what time of day it is, if you want to talk to a care manager from A-1 Home Care in Corona del Mar, you will always be connected to a live operator when you dial our phone line. Our care managers will walk you step-by-step through advanced planning. 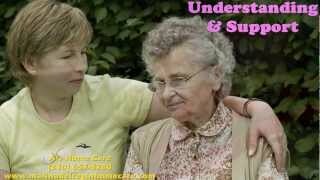 Our in-depth analysis will take into account some of the following factors in senior care: your overall financial picture, projected health and care requirements, your desires and wishes for end-of-life care, an overview of financial options and possible assistance programs, long-term care insurance, veteran benefits, financial strategies for various health scenarios, and more. Established in 1991, A-1 Home Care is a licensed, bonded and insured agency dedicated to serving seniors and their families all over Orange County. We take great care in matching you with a highly skilled, seasoned caregiver whose personality is compatible with yours. Customer service is 100% guaranteed. Thanks to our wonderful team of caregivers, certified nurse aides, certified home health aides, home helpers and companion care works, A-1 Home Care has become Southern California’s most preferred home care agency, delivering exceptional senior care to communities in Corona del Mar. For quality 24-hour care, call A-1 Home Care (949) 650-3800 or visit us at www.coronadelmarinhomecare.com for services in Corona del Mar, Tustin, Laguna Beach, Newport Beach, Fullerton, Orange, Irvine, Huntington Beach and Garden Grove. In the United States, approximately 400,000 individuals have Multiple Sclerosis (MS), according to a report by National Multiple Sclerosis Society. This debilitating disease is more common in women and is usually diagnosed when people are in their late 20’s and early 30’s. At this time, researchers can only speculate what causes MS, a debilitating disease of the central nervous system. Medical research reveals that MS occurs when the immune system attacks myelin, a protective layer around nerve fibers (Healthline, 2016). The attack destroys communication between the brain and the rest of the body, causing symptoms such as difficulty with walking and debilitating fatigue that interferes with one’s ability to work and perform menial daily tasks. Though no known cure exists, there are many treatments for Multiple Sclerosis as well as in-home care support offered by agencies such as A-1 Home Care in Corona del Mar. 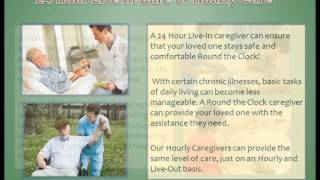 How can I benefit from 24-hour in-home care? One of the most common symptoms reported by individuals with Multiple Sclerosis is extreme, chronic, debilitating fatigue that stops them from working and doing the mundane but necessary things, like brushing one’s teeth, cooking, and cleaning around the house. If you live alone, the benefits of having round-the-clock Multiple Sclerosis Care abound. A live-in caregiver can help with meal preparations, light housekeeping, errands, grocery shopping, prescription pick-ups, transportation to appointments and more. Our personable, affable caregivers are there to take care of you 24 hours a day or as long as you need them. 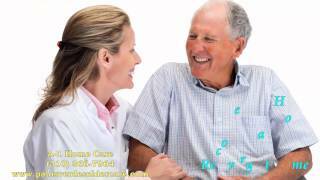 A-1 Home Care offers the best 24-hour MS Care in Corona del Mar at unbeatable rates. 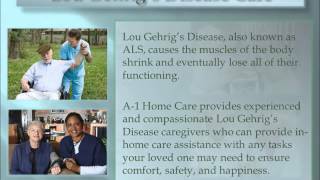 Established in 1991, A-1 Home Care has become Corona del Mar’s most preferred home care agency for a variety of services, such as Multiple Sclerosis Care, senior care, Lou Gehrig’s Care, Arthritis Care, live-in care and live-out care. We are licensed, bonded and insured, which means that every caregiver is meticulously screened for their criminal and driving records. We consistently deliver high quality in-home care through our pool of culturally diverse caregivers. When you call A-1 Home Care, you will always get a live human being on the other line instead of an automated answering service with endless menu options. You can finance MS Care through veteran benefits, long-term care insurance or our reasonable payment terms. For quality 24-hour Multiple Sclerosis Care, call A-1 Home Care (949) 650-3800 or visit us at www.coronadelmarinhomecare.com for services in Corona del Mar, Newport Beach, Laguna Beach, Costa Mesa, Tustin, Yorba Linda, Fullerton, Anaheim, and other surrounding cities. Before you know it, Thanksgiving will be in the rear view mirror once again. But before that time comes, does you or a loved one have specific diabetic needs that shouldn’t take the day off—even on a day as festive-filled as Thanksgiving? At A-1 Home Care, we provide specialized caregivers with a knack for knowing how to enjoy Thanksgiving without hurting the body along the way. Take a look below at some helpful diabetic care advice that will allow the whole family to enjoy Thanksgiving together in the healthiest way possible. Don’t dine alone. Senior centers often provide opportunities for people to enjoy a tasty Thanksgiving meal with their peers. Sharing the holiday with a companion or two both lifts your spirits and keeps you more attentive to how much you’re eating. Self-Control is important. Just because it’s the holidays doesn’t mean you can eat whatever you want and still get away with it. Overeating can lead to some surprisingly serious health setbacks, including severe heartburn or even a heart attack. Don’t pile on the gravy, butter, or other high-fat delicacies that Thanksgiving is most known for. Plan in advance. Remember to have a current knowledge of any medications you are taking. In the case that you have a health emergency, your doctor should be aware of your medical condition and according medications so that he/she can act as quickly as possible. After all, knowledge is power– so keep your doctor aware of your health situation heading into the holidays. 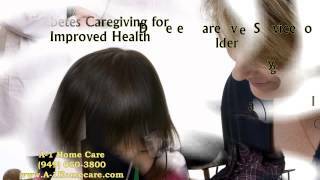 You can get more holiday dietary tips when you contact an elder care expert at A-1 Home Care today. Available at (949) 650-3800 or (562) 929-8400, each senior care specialist at the home caregiver agency of choice is diverse and affordable, proudly serving LA and OC for the past 20+ years and counting. A-1 Home Care is proud to serve neighboring communities in Fountain Valley, Costa Mesa, Huntington Beach, Newport Beach, and Laguna Beach.